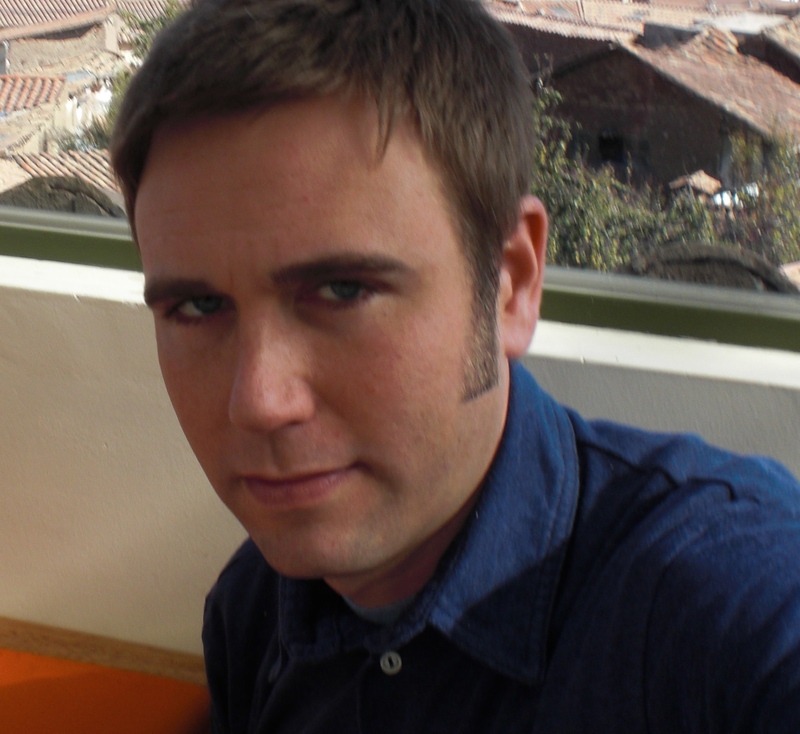 Our esteemed judge, Nick Sturm, has selected Meditations in a Helicopter About to Explode Over a Guy Covered in Chum, Surfing Off of Shark Bay Beach by Jason Bredle of Chicago, IL as the winner of the 2014 Susan K. Collins/Mississippi Valley Poetry Chapbook Contest. Congratulations Jason! We had a terrific group of manuscripts to read and it was wonderfully difficult to select a group of finalists to send to our judge (see list of finalists). Several of these finalist manuscripts be appearing in print soon. MWC Press will be publishing Meditations in a Helicopter… in late summer or early fall 2015, with pre-orders beginning in July. The 2015 Susan K. Collins/Mississippi Valley Chapbook Contest is open for submissions now through September 30, 2015. For complete details on this year’s contest and submission guidelines, please visit the contest website at http://www.mwcqc.org/contests/chapbook-contest/. Jason Bredle is the author of four poetry collections, including Carnival, selected as an Editor’s Choice for the Akron Series in Poetry, and Standing in Line for the Beast, winner of the New Issues Poetry Prize. The recipient of an individual artist fellowship from the Illinois Arts Council, his work has been anthologized in 180 More: Extraordinary Poems for Every Day (Random House, 2005), Poems About Horses (Alfred A. Knopf, 2009), Seriously Funny (University of Georgia, 2010), and New Poetry from the Midwest (New American Press, 2015), among other places. He lives in suburban Chicago, where he works as a linguist. Applications for the 2015 Great River Writers Retreat close June 15 — apply today!